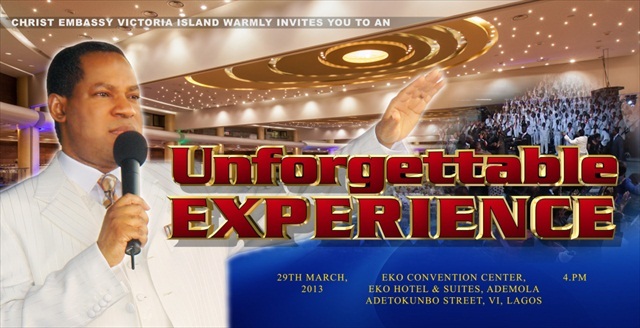 You are cordially invited to Christ Embassy‘s “Unforgettable Experience” programme taking place on Friday 29th March 2013 at the Eko Hotel & Suites, Victoria Island, Lagos. The event promises to be a glorious day in the Lord’s presence. 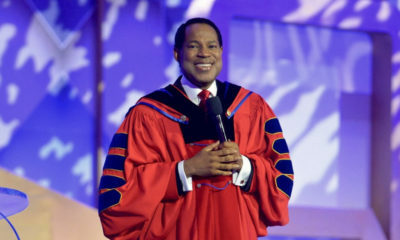 Ministering at the event is Pastor Chris Oyakhilome (Senior Pastor and Founder of the Christ Embassy Church). The event will also feature performances by Victor Ike, Joe Praize, Eben, Obi Shine, Amaka, Zamar Choir, Ada, Ayo, comedian Chikason and dance group Demeee. Admission is free for all. 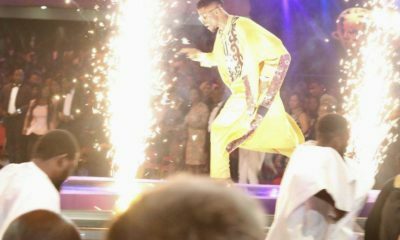 For more info and general inquiries, like their Facebook page – https://www.facebook.com/events/154515374708066/ or visit Christ Embassy, 18 Senrolu Street off Ligali Ayorinde, Victoria Island, Lagos. Yaay… my people. Naija here i come oh. Please where is Frank Edward’s name ooooooooooo? The only reason i will be there. Whaaaattttttt? No Sinachi? please ooo, I need Sinachi to be there o cos she and Joe Praize are going to be the reason why i would be there,not necessarily their personalities but their style of worship that just transports you into the supernatural. It is highly unlikely that Pastor Chris would hold a program at Eko Hotel. This report is faulty. From facebook promo below are information’s for the programme….May I stress that it did not mention PASTOR CHRIS ministering……. pls is pastor chris coming really. am going to be there live and direct. I want you to be sending me the thoughts of the day daily. God bless you.